Choo choo! We're just back from Indietracks, a small, cute indiepop festival held at a steam railway centre in Derbyshire! 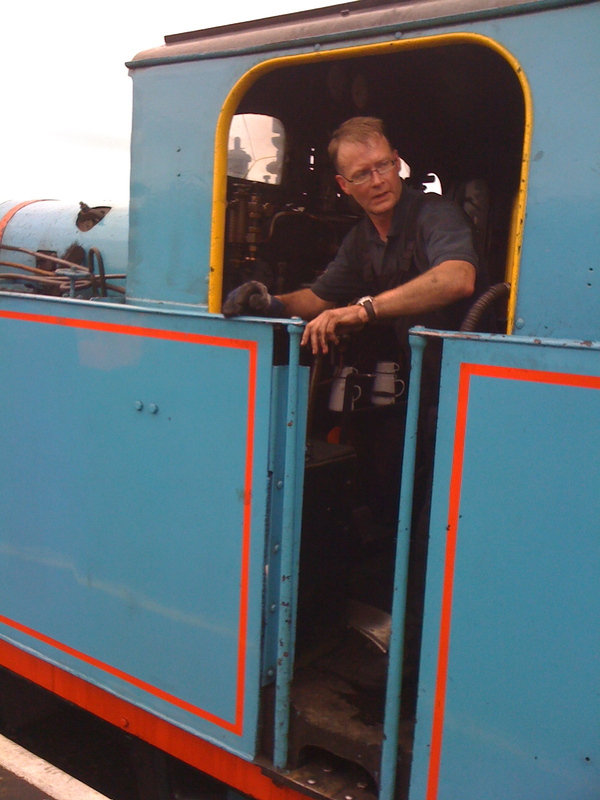 Here's the train driver - doesn't that engine look like Thomas? 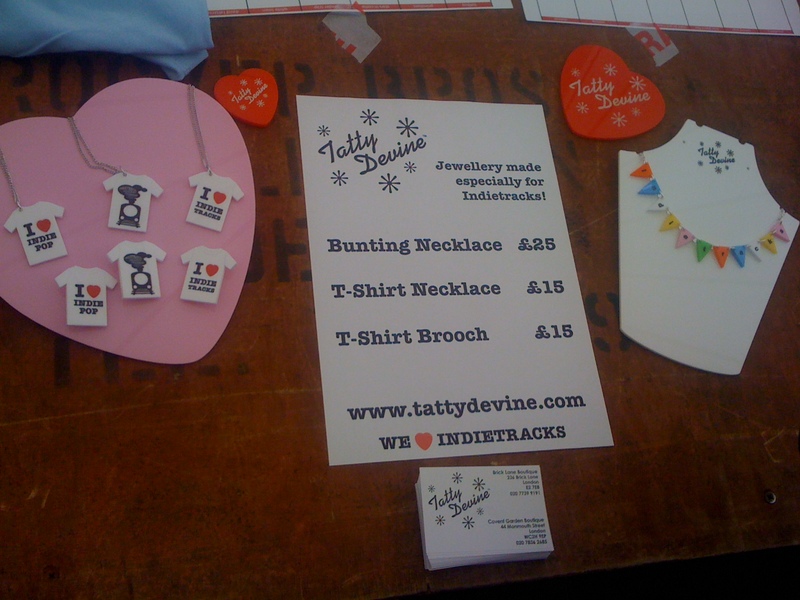 For the second year running, we made some special jewellery just for Indietracks. If you missed the festival, you can still buy it online... 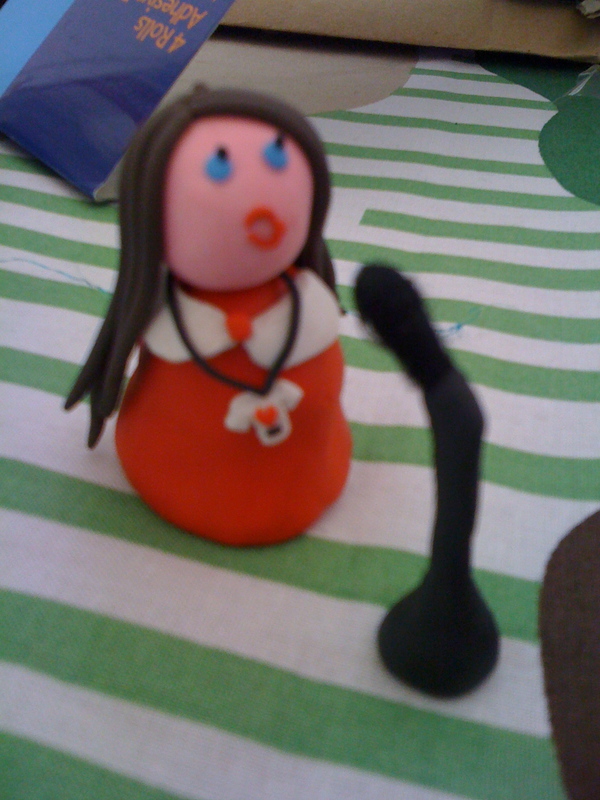 Here is Carys from The Give It Ups co-ordinating her necklace with a red dress and heart-shaped sunglasses: We loved Carys's look so much that we immortalised her in plasticine during the animation workshop. A friend even made a miniature microphone stand out of a cotton wool bud! It was a fantastic festival, with lots of indiepop bands playing. 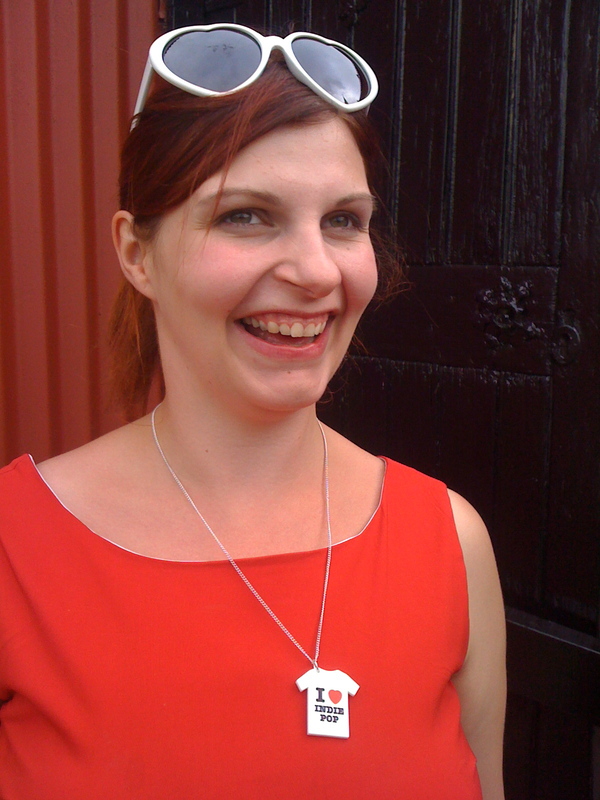 We particularly enjoyed Betty and the Werewolves (who we made some jewellery for last year - now all sold out! ); Shrag, who have a really good song called 'Tights in August' available for free download during August from wiaiwya.com; The Pains of Being Pure At Heart, who played lots of new songs; and Veronica Falls, who play really dark garage girl rock. 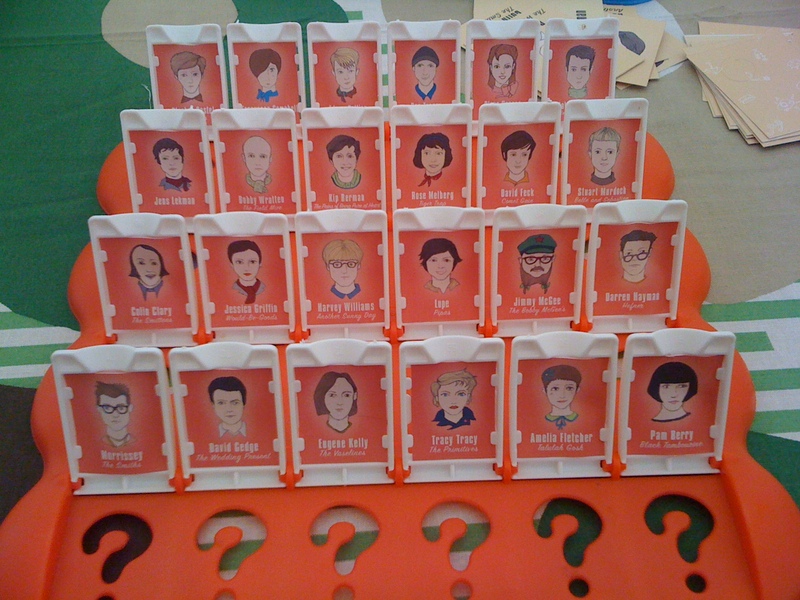 We also loved this game of Indie Guess Who made by Club Baby Honey - so cute!